Well folks, it’s almost that time of year again. A time to shamelessly order a pumpkin spice latte, throw on a pair of cozy boots, and sport one of the several scarves that’s been cluttering the back of your closet. With all this fall aesthetic, let’s not forget to actually go outside and enjoy the cool weather. 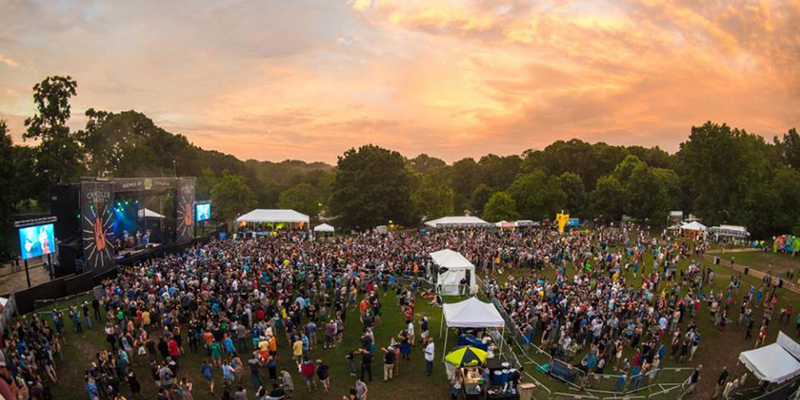 Lucky for us, Atlanta has several outdoor festivals to bid the summer heatwave farewell and welcome the crisp, Autumn air and colorful leaves. Historic Fourth Ward Skate Park, 830 Willoughby Way N.E. Back for its fourth year, the Old Fourth Ward Fall Fest is a family-friendly event featuring live music, food trucks, and local businesses. Word on the street has it that OFW may be the best viewing spot for Saturday’s Lantern Parade, too. Atlanta History Center, 130 West Paces Ferry Road N.W. Welcome to Georgia, home of the sweetest sweet tea and the ripest peaches. Embrace Southern living with a festival that celebrates it all — barbecue, basket weaving, woodworking, pottery, food preservation, and candle dipping. Folk music and classic brews will keep the party going. 5-11 p.m. Fri., Sept. 28; 11 a.m.-11p.m. Sat., Sept. 29; 11 a.m.-7 p.m. Sun., Sept. 30. Atlanta welcomes a taste of Greek culture with fresh, authentic menu items prepared by volunteers who wish to share their Greek culture and heritage. Dishes include mezze, wine and cheese samples, traditional moussaka and spanakopita dishes, street food like souvlaki and gyros, and desserts such as loukoumades (served in the kafenion), homemade baklava, and kourabiedes. Candler Park, 1500 McLendon Ave. N.E. Produced by the Candler Park Neighborhood organization, Candler Park Fall Festival welcomes all ages to a weekend packed full of happenings. Keep the hanger at bay with a variety of food options by Tex’s Tacos, Blue Island Noodles, Cattywampus, Southern Routes, King of Pops, and more. A 5K will take place Saturday, Kidlandia will keep the kids happy and entertained, and more than 200 local artist vendors will soothe the shopping needs. Live music by Lunar Vacation, Youth Quake, Bumpin’ the Mango and more will keep the mood light and bumpin’ all weekend long. As always, the Tour of Homes will take place on Sunday to allow guests a walk-thru tour of several homes in the community. Bonus: There’s also a ferris wheel. Civic Center Station, 435 W. Peachtree St. N.W. The Atlanta Pride Committee, an organization looking to advance unity, visibility, and self-esteem among members of the LGBTQ community, hosts a celebration of love and equality that will colors the streets of Midtown for a 48th year. 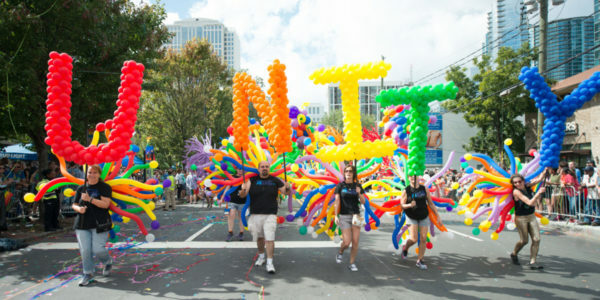 Atlanta’s gay pride parade is the largest pride festival Southeast, with more than 100 participants marching in the parade. Additionally, a variety of market vendors will be readily available for shopping needs. More than 80 breweries are revving up to quench the ultimate thirst. General admission includes a special tasting glass, unlimited sips from the plethora of breweries in attendance, and live music. Breweries participating in the festival include Gate City Brewing, Red Brick Brewing Co., Red Hare Brewing Co., Monday Night Brewing, Creature Comforts Brewing, and dozens more. Who knows, maybe they’ll even whop out all those pumpkins beers in the name of Autumn. Tickets go on sale Sept. 17. Behind the Brookhaven MARTA Station, 4047 Peachtree Road N.E. More than 140 participating artists will feature works of fiber, glass, jewelry, mixed media, painting, photography, sculpting, and more. 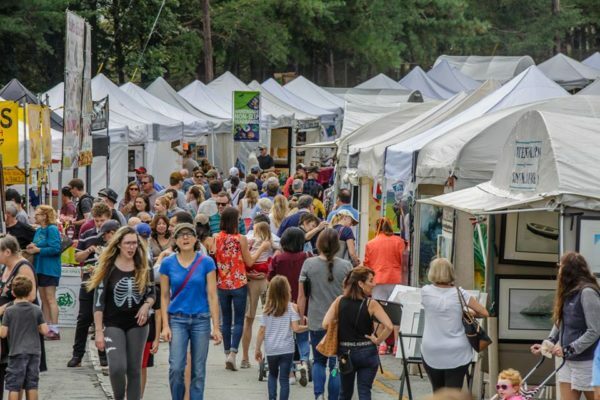 The 14th annual family-friendly festival welcomes all to a juried art show, kid-friendly activities, food and shopping vendors, live music, and a car show. Events will span Saturday to Sunday, welcoming art lovers and beyond to a weekend of fall happiness and creativity. Synchronicity Theatre, 1545 Peachtree St. N.E. Since 2006, the horror film festival has invited guests to a three-day showcase of works by up-and-coming filmmakers from across the globe. Halloween is rapidly approaching, which means the gore, guts, blood, and paranoia will be at full throttle. Proceed with caution.